On this occasion the team worked in the Kamwenge district close to Mbarara and the Lake George. It is one of the most beautiful areas in Uganda. 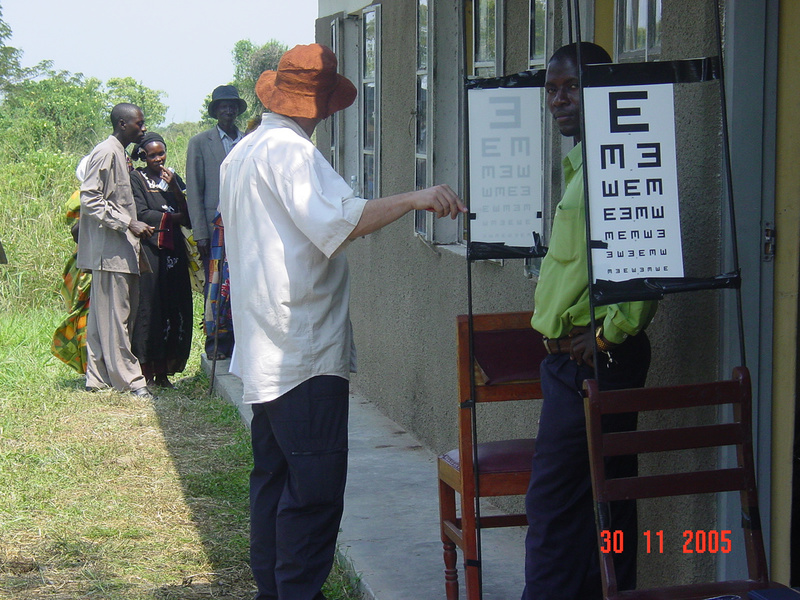 Clinics were carried out in Mayoro village on the shores of the lake and Kabujagera where we were based. We had an excellent team join us from Mbarara including 2 ophthalmic nurses from the eye clinic. There were ten in the team, comprising of 3 optometrists, 2 dispensing opticians, 2 structural engineers, a counsellor, a nurse and a teacher. This time they linked in with two local ophthalmic nurses and were able to improve their effectiveness by supplying medication for eye disease to nearly 1000 people. Mission for Vision funded 60 cataract operations. The team worked in two locations; starting in the village of Mahyoro, on the banks of Lake George, and then Kabujogera. During 6 days, 2,300 were seen and 1400 were prescribed life-changing glasses. The work was carried out with the help of a large team from the local churches who supplied interpreters, cooks and drivers.